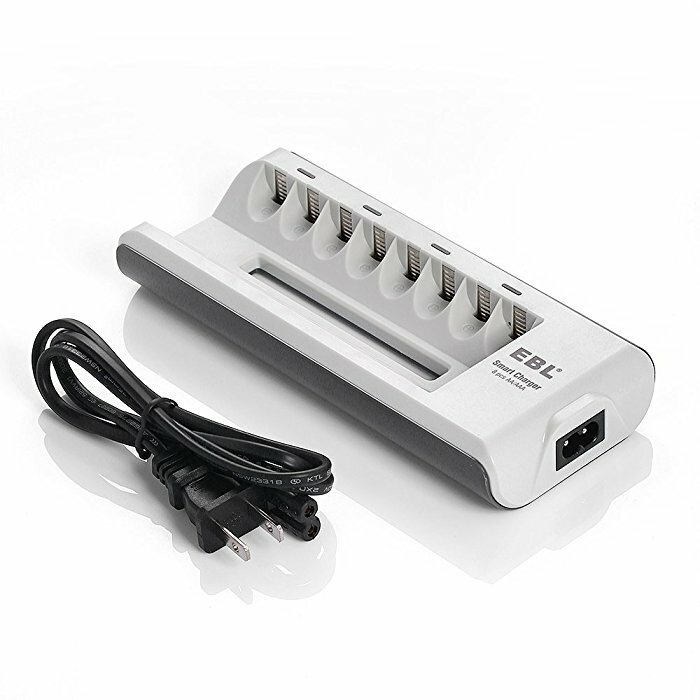 Note: Do not charge 1 AA + 1 AAA together at 2 slots controlled by 1 LED indicator. 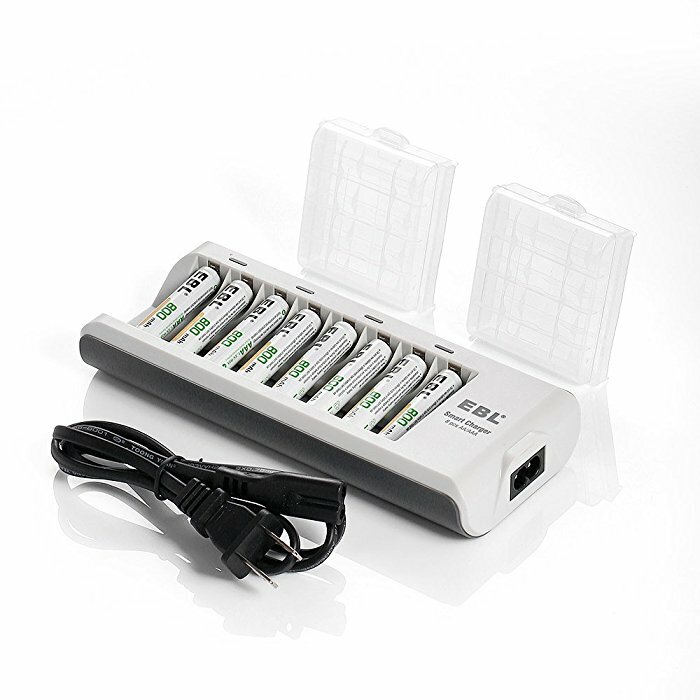 The 8 bay charger can be used to charge 2/4/6/8 AA/AAA batteries simultaneously. Batteries should be charged in pairs. 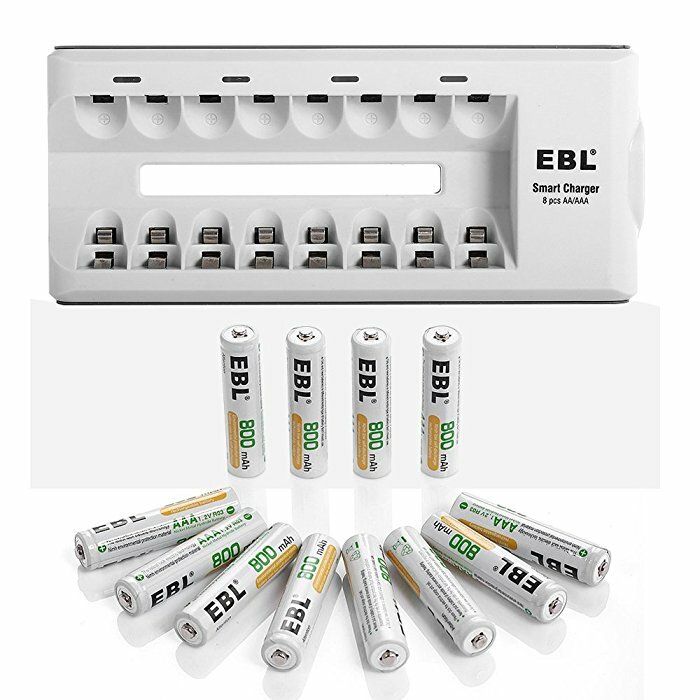 Batteries can be charged based on an uneven number at a time. 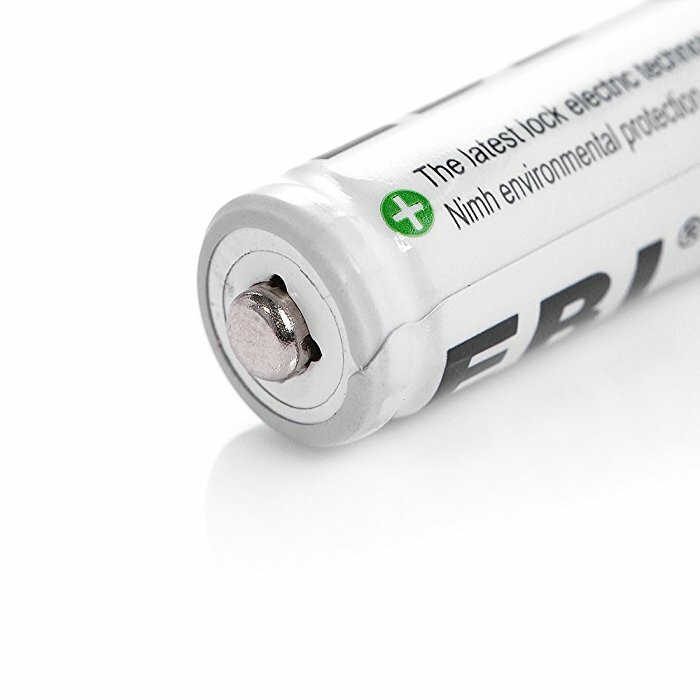 The charger has the negative delta V cut-off function for protection. 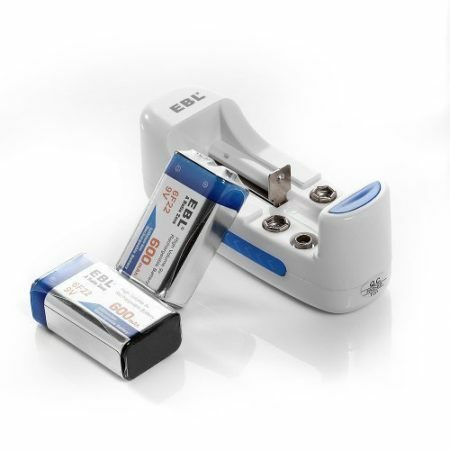 It also has good protection against overload, over heating, over current or voltage. 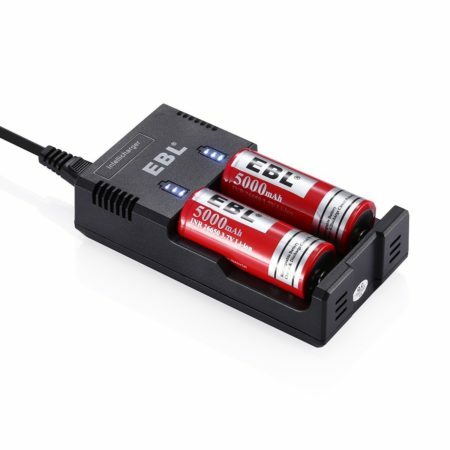 Smart four small LED indicators show the charging process for you. 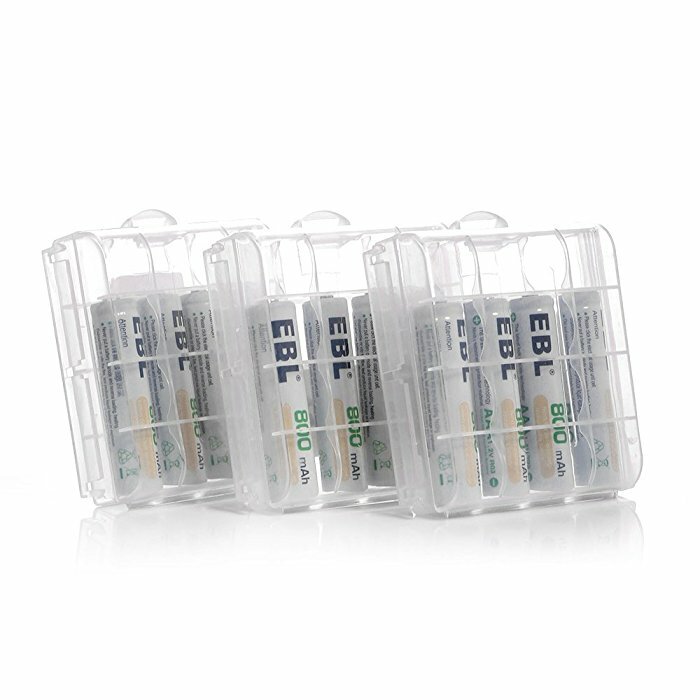 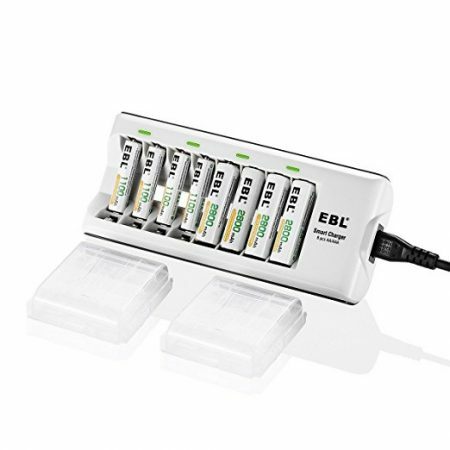 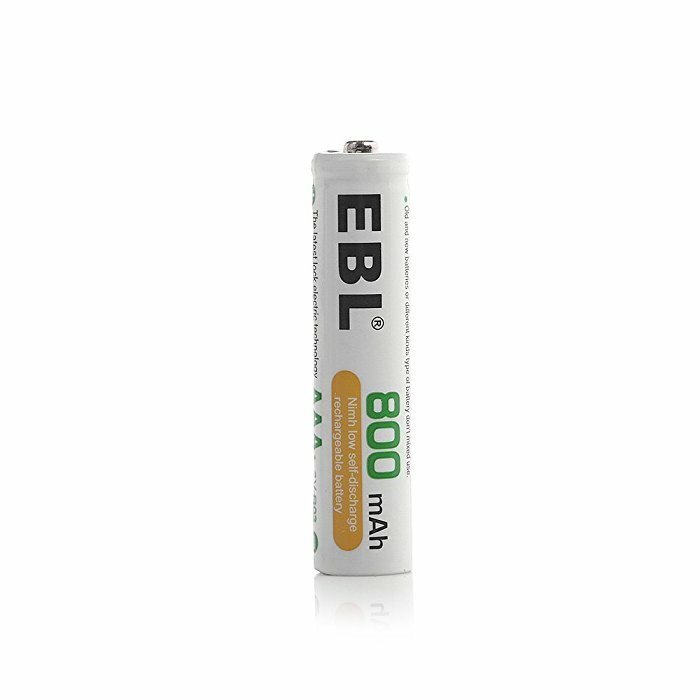 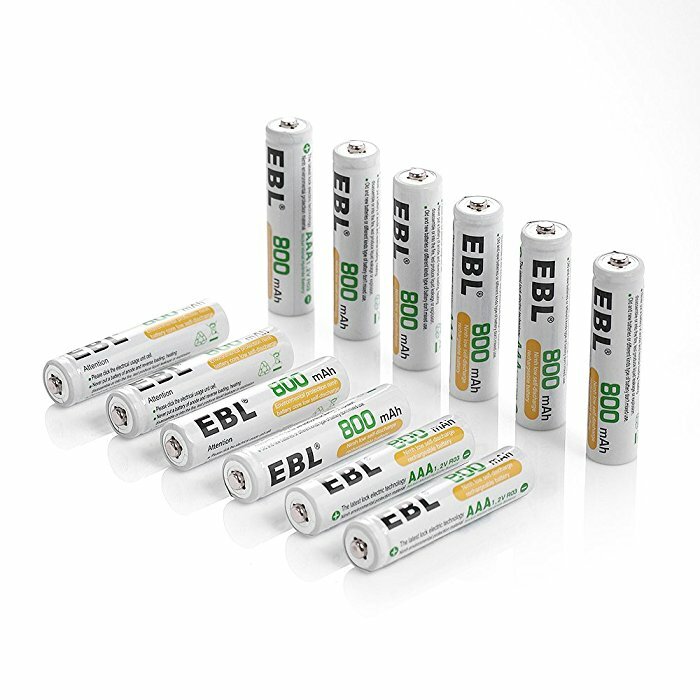 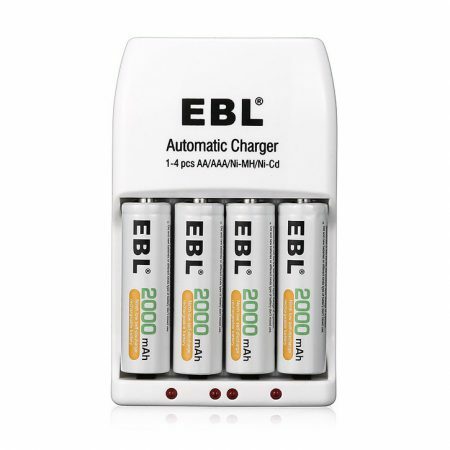 The EBL rechargeable battery charger is fully compatible with AA and AAA Ni-MH Ni-CD rechargeable batteries(Not for alkaline or lithium batteries).